HYDE PARK — The Hyde Park Historical Society will host an afternoon of stories Sunday about famed adventurer Cyrus Leroy Baldridge. Baldridge’s friend Jay Mulberry will recount the adventures of the former Hyde Parker as he traveled across the world making sketches of the battlefields of World War I and the then-largely unknown cultures of Africa. Mulberry will talk about his friend, who died in 1977, at 2 p.m. at the Historical Society, 5529 S. Lake Park Ave. 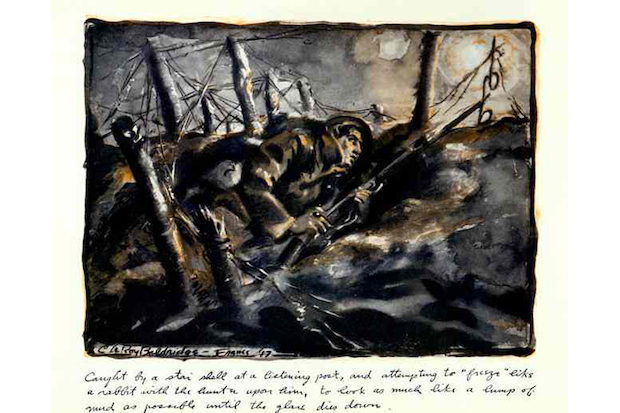 The 1911 graduate of the University of Chicago first became widely known for his intimate sketches of American soldiers serving on the front lines in France during World War I. In the 1920s, he traveled the width of Africa on foot, producing the illustrations for Caroline Singer’s “White Africans and Blacks,” considered a candid and respectful portrayal of African cultures for the time. He was sought after to illustrate books on Asia throughout his career because of his travels in India, Japan, China and elsewhere. Much of Baldridge’s work went to the University of Chicago after he took his life in 1977.